Keynote “On little and grand narratives in Central Asia”, held at the Conference “Central Asian Studies Inside Out. Challenging Grand Narratives”, organized by l’EHESS and ZMO (Berlin). March 28, 2019. Paris. Television Interview for MRTV4 (Myanmar TV) on April 1, 2016. available here. Invited Lecture “Den Staat ver/fassen. Ein rechtsethnologischer Blick auf Verfassungspolitik. Wissenschaftskolleg zu Berlin. May 05, 2015. Audio file available here. Radio interview for Deutschlandradio Kultur. ‘Ethnologin: Die ethnische Karte gespielt. 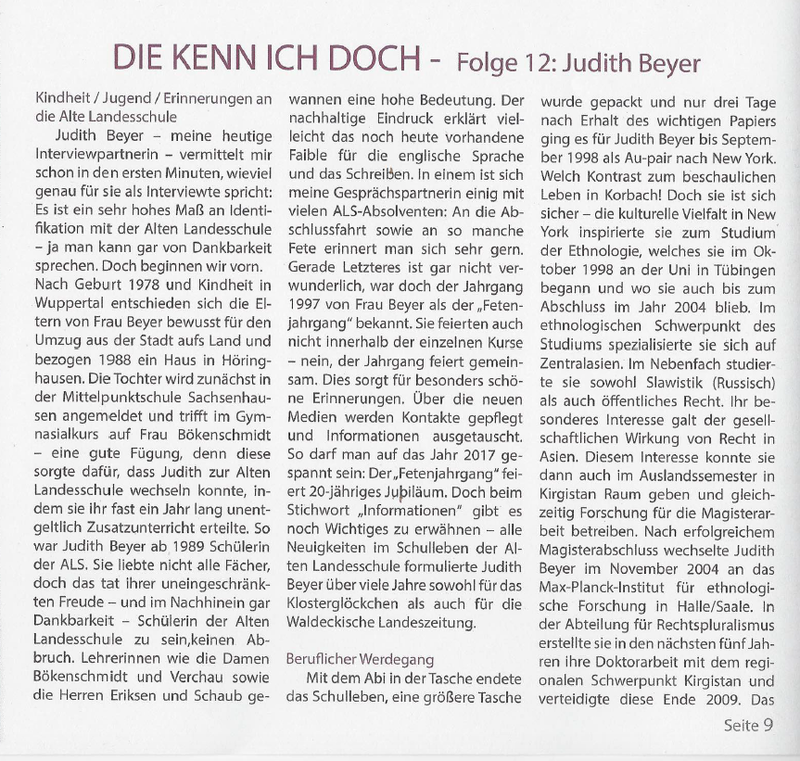 Judith Beyer über den Konflikin Kirgistan’ [Anthropologist: Playing the ethnic card. Judith Beyer on the conflict in Kyrgyzstan]. June 21, 2010. Television interview for 3Sat/Kulturzeit. ‘Wahlen in Kirgistan.’ [Elections in Kyrgyzstan]. June 28, 2010.